If your knees hurt from osteoarthritis, losing a substantial amount of weight is one strategy to slow down the damage to your cartilage. It’s not enough to lose weight through exercise alone, however, a new MRI study finds. For the best results, you should try losing weight by changing your diet and adding exercise or by diet alone. Obesity is a major risk factor for osteoarthritis – a degenerative joint disease affecting more than one-third of adults over the age of 60, according to the federal Centers for Disease Control and Prevention. Symptoms of OA include: pain, aching, stiffness, swelling and decreased range of motion or flexibility. An orthopaedic specialist can diagnose OA through a physical exam, X-rays and lab tests. 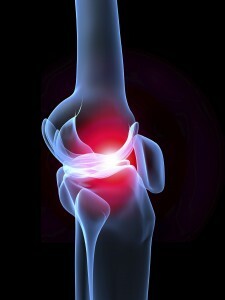 Osteoarthritis often occurs in the knee joint. It’s one of the reasons people need to have joint replacement surgery. “Once cartilage is lost in osteoarthritis, the disease cannot be reversed,” said the study’s lead author Alexandra Gersing, MD, University of California, San Francisco. With that in mind, it becomes critical for people who have early signs of the disease to slow down cartilage degeneration. While previous studies show losing weight helps, it wasn’t clear whether it mattered how you lost the weight. This latest study looked at how people lost weight and used MRIs to track their cartilage degeneration. They found that people who lost weight had less cartilage degeneration, but only if they focused on changing their diet as part of their weight-loss strategy. People who lost weight by strictly exercising did not have a significant change in their cartilage degeneration. “These results add to the hypothesis that solely exercise as a regimen in order to lose weight in overweight and obese adults may not be as beneficial to the knee joint as weight loss regimens involving diet,” Gersing said in a news release from the Radiological Society of North America. + Learn about advanced techniques used in total joint replacement at Virginia Orthopaedic & Spine Specialists, which helps patients recover faster.